Upon completion of his ENT specialty training in UK, he was awarded a Fellowship in Head and Neck Oncologic Surgery in Galveston, Texas. This was a 2-year intensive training program that was accreditated by the American Joint Council of Head and Neck Surgeons. During these years, A/Prof undertook sub-specialty training that included cancer surgery (over 150 cases) of the mouth, tongue, throat, voice box, neck, salivary gland and thyroid gland. He was also trained in reconstructive surgery of the head and neck which allowed him not only to remove cancers but also to functionally and aesthetically replace cancer defects of the head and neck. In 1998, A/Prof Tan returned to Singapore in 1998 as Consultant in Otolaryngology at NUH and Assistant Professor at the National University of Singapore. 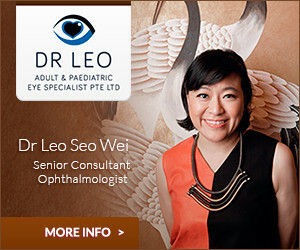 In 2001, he was promoted to Associate Professorship and Senior Consultant. 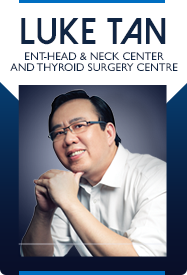 In 2002, A/Prof Tan was appointed as Chief of the Department of Otolaryngology Head and Neck Surgery and Head of the Department of Otolaryngology at the National University of Singapore. During his tenure, he was responsible for adding Head & Neck Surgery to the department of Otolaryngology. A/Prof Tan was also the past President of the Singapore Otorhinolaryngology Society, for which he initiate the landmark formation of the Singapore Society of Otorhinolaryngology-Head and Neck Surgery.